The Honda PCX has been one of the most consistent models in the UK in 2014 in terms of new registrations. The big scooter has secured thousands of sales in the year-to-date and has been the bestselling model in five out of 11 months so far this year. One of the reasons for the PCX’s popularity in the UK is its high-end technology and fuel-efficient engine set-up, complete with the first idle Stop-Start system ever seen on a two-wheeler. 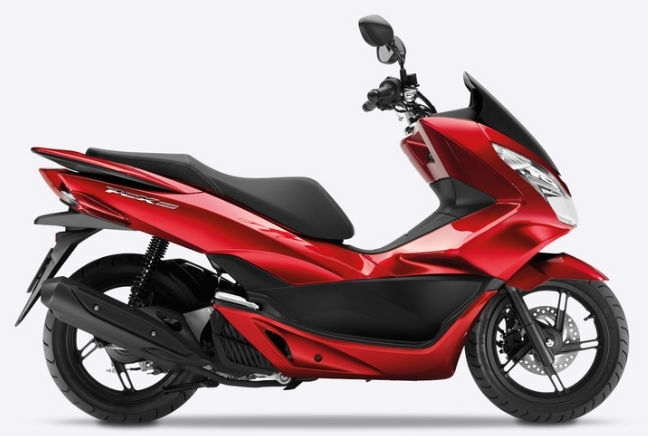 As well as being efficient, the PCX is also quite stylish for a modern scooter and comes with an oversized front headlight and a chunky design.